IF ITEMS ARE TO BE SEARCHED FOR BY Japan Parts Direct A 3000yen HOLDING DEPOSIT WILL BE TAKEN PRIOR TO ANY SEARCH THAT IS TO BE PERFORMED, THIS DEPOSIT WILL BE DEDUTED FROM THE YOUR FIRST PURCHASE. THIS FEE IS NON REFUNDABLE IF CUSTOMER DECEIDES NOT TO GO AHEAD WITH ANY ITEMS. Beware that some auctions contain a 5% tax surcharge on the final item price and\or various packing fees – Mostly charged by Retailers on Yahoo Japan. If unsure please ask prior to bidding. Postage Inside Japan – From Seller to Japan Parts Direct Warehouse in Japan – Various Costs – Min 1000yen – Please Ask for Estimate! Shipping to Customer EX JAPAN – Express Post or Container Shipping – Estimates are provided on our Shipping Cost Page. Please select Express Post or Container Shipping at time of placing the bid. All items Shipped via container are delivered to Brisbane. Import duty and other government taxes are charged for this shipping method. 10% GST IS CHARGED ON TOP OF THE FINAL AMOUNTS DUE TO JAPAN PARTS DIRECT. Paypal and Credit Card Payments do attract a payment surcharge. Quoted prices can change at anytime without notice. Quoted prices do not include cars sourced from Yahoo Japan. Japan Parts Direct can also buy items from any manufacture or company inside Japan these include genuine parts and accessories from Toyota, Nissan, Honda, Mitsubishi, TRD,Nismo and more for more information on this please email us at orders@japanpartsdirect.com.au for the best prices in town. 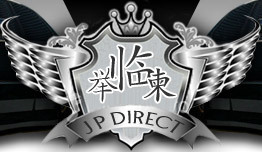 Japan Parts Direct can also supply the best quality imports direct from the used car auctions in Japan for more information please see out Car Buying Service Page.